Advertising is one of the most critical parts of running your e-commerce store. Unfortunately, for many it also tends to be one of the most elusive and difficult to figure out parts. You have a great product and set a fair price. You’re on top of customer service and your site looks great. But all that is useless if you can’t attract new customers to your site. 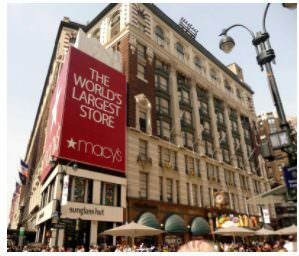 In the heyday of retail, location was key. You wanted to locate your store where it would receive the most visibility and foot traffic. If you placed your store in a trendy part of town, it absorbed some of the neighborhood’s “cool” factor. For e-commerce sellers, this isn’t really an option. On one hand, the Internet has made it harder to get noticed. With millions of businesses online, many that ship around the world, it can be hard to get organic traffic through the door. But on the other hand, your business is no longer tied to a single location. You can go wherever your customers are. Most importantly, you can be in more than one place at once. You’re no longer limited to the wealthy hipsters walking around SoHo in New York. Now you can sell to the hustling sneaker fanatic in San Francisco at the same time, from the same store. Nowadays the key is figuring out where your customers spend their time online and how to target them with your message. Facebook Ads offer more “foot traffic” than any country in the world. With almost 2 billion active users, it represents a bigger market than the United States and China combined. So you can spend your time and money focusing on demographics specific to your product and you can track how customers behave and optimize your marketing dollars in ways never before possible. And all this comes at a price way lower than almost any marketing strategy we’ve seen in history. The key to having success with Facebook Ads in e-commerce is making sure that you set them up effectively and spend a little time optimizing them to get the most bang for your buck. This article will explain some of the key factors you should be paying attention to when leveraging the power of Facebook for your online store. 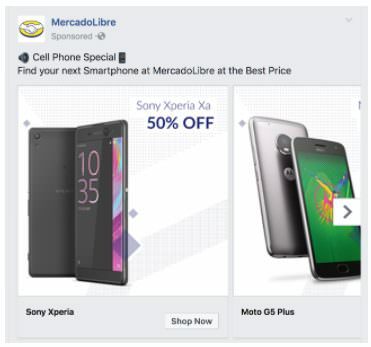 What Makes Facebook Ads so Special? You’ve probably seen a Facebook Ad in the last hour – or, more likely, in the last 15 minutes. Facebook is designed to be psychologically addictive. Every time you scroll through your News Feed, the reward center of your brain lights up with activity. Your brain is waiting to strike gold – a funny video, a brilliant quote, a heartwarming story… or maybe a great opportunity. Facebook Ads give you an opportunity to actually be that emotional trigger for people who are searching for something new. In fact, Moz estimates that just $1 a day on Facebook Ads will get your product in front of 4,000 new people every day. If you sell products online, paid advertising is indispensable. You can easily calculate your ROI and conversions, optimizing your marketing with real data and results. It helps you cut through the noise and grab customers’ attention. And Facebook Ads are effective at all stages of your marketing funnel. 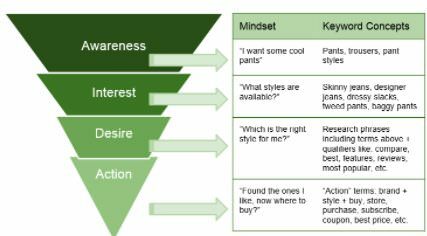 Especially when creating awareness with new, ideal customers or retargeting those customers in the desire phase who just need a little push to make a purchase decision. While setting up your ad, keep in mind these key decisions that you’ll have to make. Free Bonus Download: Get our free SEO guide for 20 easy tactics that can skyrocket your rankings, even in a competitive niche! Click here to download it for free right now! 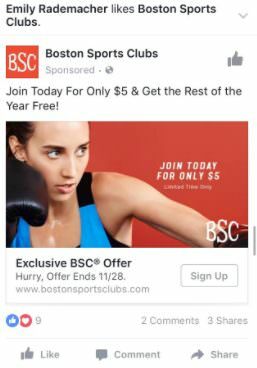 Facebook Ads can be placed directly in the News Feed as “sponsored stories” or on the right-hand column like a more traditional advertisement. The News Feed ads generally have higher engagement and click-through-rate (CTR), but tend to be a bit more expensive. You can choose to serve News Feed ads on desktop, mobile or both. The benefits of each option are very dependent on your business and goals, so you should probably test a number of options before deciding which is best for you. Facebook has also recently launched mid-roll video ads that play during organic content in a user’s feed, similar to YouTube ads. These aren’t too popular yet, cost quite a bit more and require a lot more preparation. 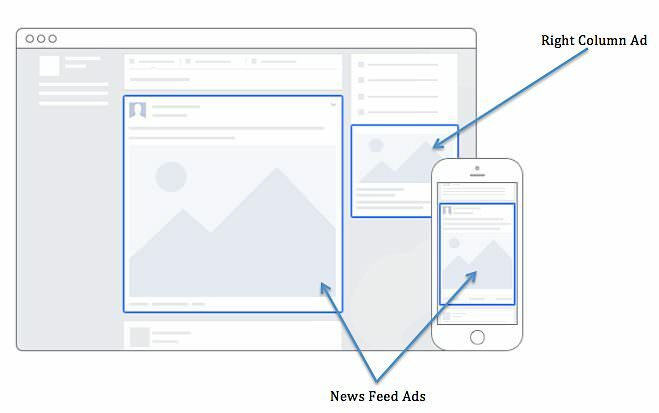 For this article, we’re going to focus on News Feed ads for both mobile and desktop. But almost everything will be applicable to those other ad formats as well. Facebook has even more data than Google about its users – data that you can mine and use to target your ads. Combined, these categories give you hundreds of options to zero in on your target customers. You can also filter users based on how connected they and their friends are to your brand, or target people based on their past behavior with your site for retargeting and upselling. You can start seeing results on Facebook for as little as $1 per day. At $30 per month, this is an opportunity no e-commerce retailer can afford to miss. The total amount you’ll need to spend depends on how competitive your industry is and what kind of results you’re hoping to achieve. 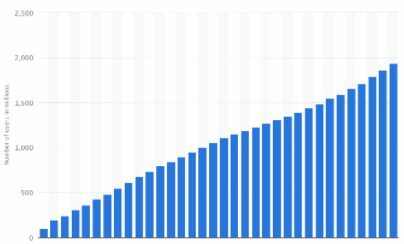 But my recommendation is to start a few campaigns with small budgets ($1-5/day) and gradually increase this. In other words, don’t throw $5,000 into your first campaign and get heartbroken when your first leads don’t convert into customers. Once you’ve been running your Facebook Ads for a little while, you can evaluate them to cut the losers and increase your spending on the winners in order to boost your overall marketing ROI. Watch carefully though, because eventually you’ll start to see diminishing returns from simply increasing the budget. 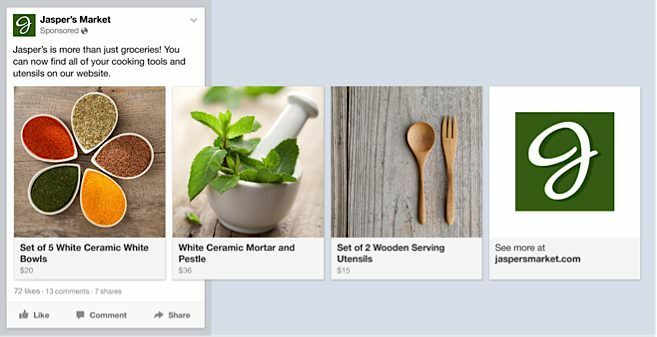 Now let’s look at how you can set up Facebook Ads that will boost your sales. Before you get started, you need to decide how you will measure success. Do you want to increase revenue? profit? Are you looking to increase sales of a specific product? Are you trying to grow your mailing list? fan page? Do you want to increase brand awareness by getting the most impressions? Once you have an idea of what the purpose of your campaign is, you’ll need to ask yourself who your ideal customers are. Hopefully, you’ve already identified and segmented your target audience. If not, now is the time. 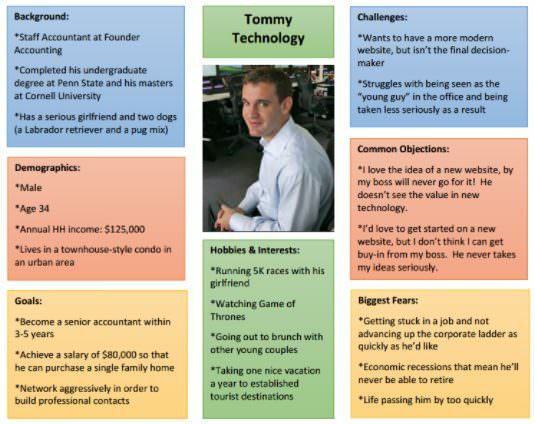 Start by creating buyer personas. Get detailed. Give your fictional buyers names, occupations, hobbies and interests. This will come in handy when you’re deciding who to target with Facebook’s hundreds of data points. Focus is key here. You can always run multiple campaigns or expand your market as you learn which are most effective, but you should be hyper-specific in the beginning. Before you start spending money on campaigns, you’ll want to make sure everything is set up to track your results. What is especially important is setting up Facebook Pixels on your e-commerce storefront. Facebook Pixels will allow you to track how customers behave after they click on your ad, leave Facebook and start navigating your site. It lets you how customers are converting after they click your ad. It also lets you know which pages they visited and where they dropped off if they didn’t complete a purchase. 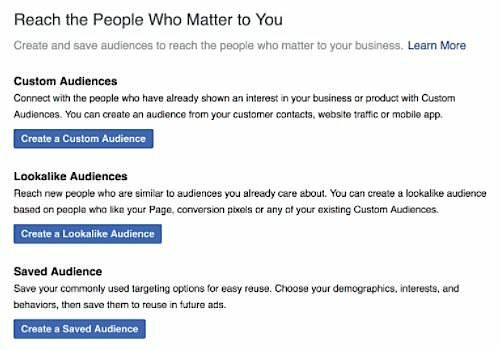 In addition to providing you with useful insights, Facebook will use this data to automatically optimize your advertisements and make recommendations. In February 2017, Facebook moved all conversion tracking to the new Facebook Pixel. So even if you’ve set this up in the past, you should make sure everything has been properly updated. Many e-commerce storefront platforms like Shopify make it easy to set these up quickly, so just check their knowledge base or contact support. Social Media Examiner also has a general guide on how to set Facebook Pixels up. This data is essential for knowing which ads need to be updated, which deserve a bigger budget, and which are a waste of your time and money. Not every ad will be a winner, and if they are, then you’re not experimenting enough (or you’re a magician). Paying close attention to conversion and ROI will help keep your costs down and revenues up. 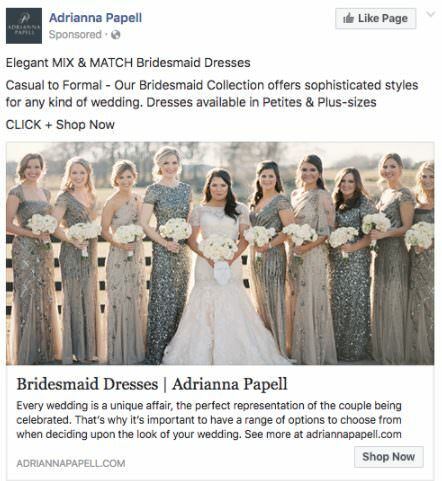 While your ads should reflect what makes your business unique, there are a few tried-and-true strategies to make sure your e-commerce ads are effective. You need to give users a reason to stop scrolling through their addictive News Feed and go to your store by using emotional triggers. One of the best ways is to create a sense of urgency or FOMO (fear of missing out). Having a great offer will catch their attention, but you need them to take action now. This is best done by limiting the quantity or time of your offer. For example: “We’re giving away a free carrying case with the first 500 purchases” or “24-hour flash sale”. If you’re an e-commerce seller, you should already know the power of photos. Without the option to touch your product in real life, buyers need detailed, high-quality photos to make their purchase decision. What’s more, posts with images represent 93% of the most engaging posts on Facebook. A powerful image is what will catch someone’s attention and make them stop scrolling, so you need to make sure that your images are of professional quality, clear and self-explanatory. Your customer should understand what you’re offering instantly when they see the image. Don’t rely on your ad copy to explain what you’re offering. Even if your brand is recognizable, you should always include the product you are promoting in the image. One way to really step this up is to sell the lifestyle around the product. Show your customers what their life could look like if they buy your product. The best way to do this is to show someone using your product and include other related but non-competitive products to shape the brand image. AIDA (Attention, Interest, Desire, Action) isn’t just for your sales funnel. Consumers go through these phases every time they make a decision. You’ll need to catch their attention with a great image and headline, then peak their interest with an exciting offer. A great product will create desire, and finally you’ll use urgency to encourage action. Think about what’s in it for them. You need to catch their attention and offer them something that they truly want. Chances are that you sell more than one product in your online store. Multi-product ads allow you to showcase multiple products within a single ad. Users can scroll through your offers and click on the one that’s best for them. This is an extremely effective tactic because it presents the buyers with choice. It’s especially key if you have similar products that might better suit the individual tastes of your target market. The multi-product carousel ad style helps the customer in the interest phase develop a strong enough desire for a particular product to take action. It engages them early and promotes self-discovery before they feel like they’re being sold to. In fact, Adobe reported that while using multi-product ads, their education client’s CTR improved from 50-300% and Cost Per Acquisition (purchase complete) efficiency increased 261%! According to a study by Marketing Land, 42% of people will like a brand on Facebook to get coupons or discounts. Common examples include free shipping, dollar-value coupons, percent off, and buy-one, get-one free. Giveaways aren’t ideal for immediately increasing sales of a specific product, but they are a great way to promote your brand, increase social likes and grow your e-mail list. Once customers join your Facebook page or e-mail list, you’ll be able to continue marketing to them for free! Giveaways are also more likely to be shared, generating free impressions to promote your brand name and image to far more people. When hosting a giveaway, make sure to offer a substantial prize like a big-ticket product or unique experience to encourage people to share it with their friends and generate excitement. But make sure that the prize is relevant to your target customers so you’re not collecting a lot of useless followers with no chance of turning them into customers. Speaking of useless followers, make sure your ads do a good job of filtering out “curiosity clicks” or people who are interested, but will never buy. It’s a common mistake for new e-commerce sellers to focus on maximizing their CTR. With PPC (pay-per-click) ads like Facebook, remember that you pay every time someone clicks on your ad – and only when they click. To maximize your ROI, you want to make sure that clicks have a high probability of converting to customers. If you are running ads with a great CTR but low conversions, try rewording them to better qualify your leads. One is to display the price in your ad to weed out those who aren’t willing or able to pay. The second is to explicitly state your target market in the ad copy to weed out those who aren’t a genuine fit for your product. Check out these crazy statistics: 72% of online shoppers will abandon their cart before making a purchase. But 23% of them will return to complete the purchase… if they’re retargeted. This is why retargeting is soooooo important for e-commerce sellers. This is one reason why you must set up Facebook Pixels before you start running ads. Retargeting also gives you a way to upsell and promote new products to your existing customers. 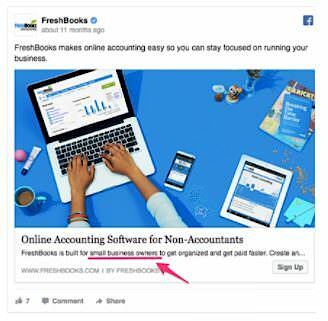 Check out Neil Patel’s excellent step-by-step guide on setting up a retargeting campaign with Facebook Ads. If you’re not using lookalike audiences, then you’re making one of the biggest Facebook Ad mistakes by missing out on a huge opportunity to expand your market! Lookalike audiences are automatically generated by Facebook based on demographics that look similar to the existing target audiences you already sell to. They get smarter as you run more ads and collect more data. This expands your market in ways that are logical and data driven but perhaps not obvious. All you have to do is choose “Lookalike Audience” when selecting who to target with your campaign. The possibilities with Facebook Ads are as endless as your creativity. Use these tips to get you started in the right direction, but remember that you should constantly tweak and test your ads to maximize results.